SACRAMENTO, Calif. (AP) — California legislators and labor unions on Saturday reached an agreement that will take the state’s minimum wage from $10 to $15 an hour, a state senator said, a move that would make for the largest statewide minimum in the nation by far. Sen. Mark Leno, D-San Francisco, told The Associated Press the proposal would go before the Legislature as part of his minimum-wage bill that stalled last year. Leno said the deal would avoid taking the issue to the ballot. One union-backed initiative has already qualified for the ballot, and a second, competing measure is also trying to qualify. Leno did not confirm specifics of the agreement, but most proposals have the wage increasing about a dollar per year until it reaches $15 per hour. 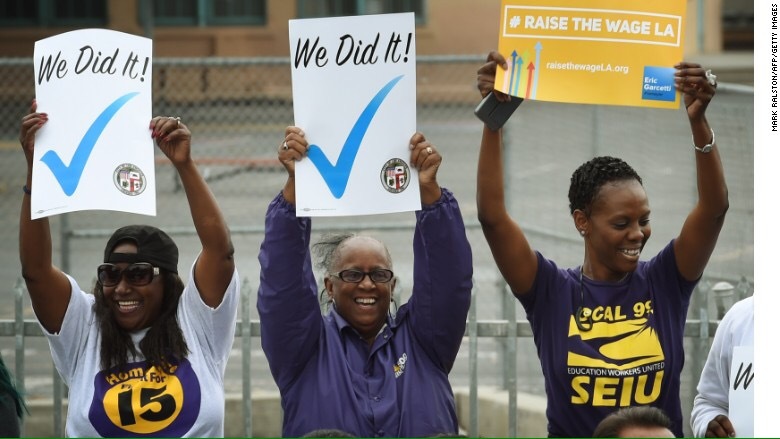 The Los Angeles Times, which first reported the deal, said the wage would rise to $10.50 in 2017, with subsequent increases to take it to $15 by 2022. Businesses with fewer than 25 employees would have an extra year to comply. At $10 an hour, California already has one of the highest minimum wages in the nation along with Massachusetts. Only Washington, D.C., at $10.50 per hour is higher. The hike to $15 would make it the highest statewide wage in the nation by far, though raises are in the works in other states that might change that by the time the plateau is reached. Union leaders, however, said they would not immediately dispense with planned ballot measures. Sean Wherley, a spokesman for SEIU-United Healthcare Workers West, confirmed that his group was involved in the negotiations. But he said the group will continue pushing ahead with its initiative that has already qualified for the ballot. Kevin Liao, a spokesman for Assembly Speaker Anthony Rendon, D-Paramount, declined to comment. A spokesman for Gov. Jerry Brown, Evan Westrup, did not immediately respond to a request for comment. This wage increase is long overdue, since prices for rent, food, and utilities continue to rise. The overall cost of living here in California does not match the incomes being paid in many cases. It will take some time, but this is a victory for many I’m sure. Hello world. It’s my blog, so why not post a selfie. 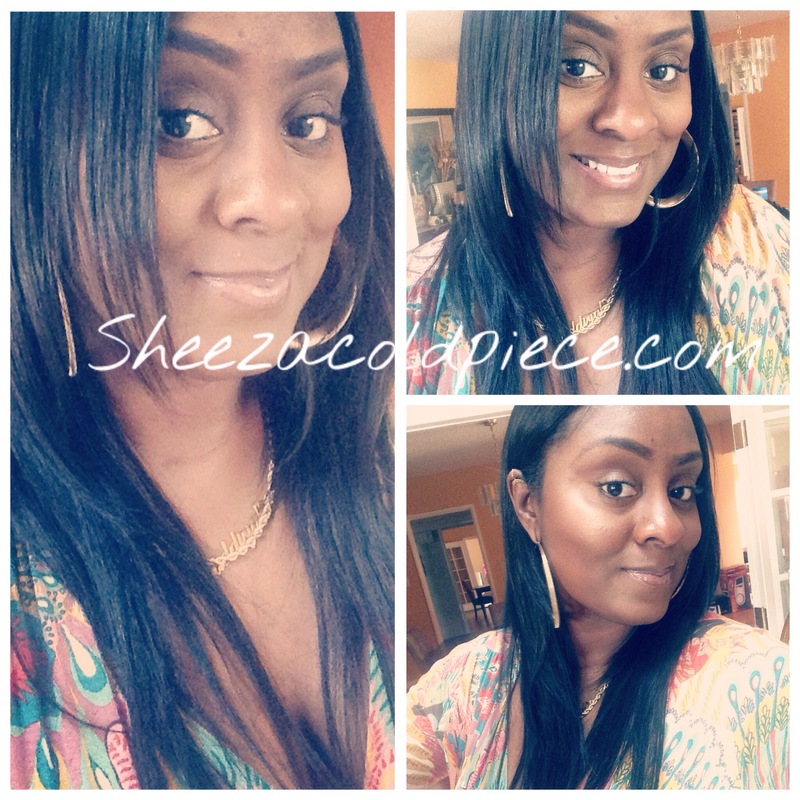 Sheezacoldpiece! 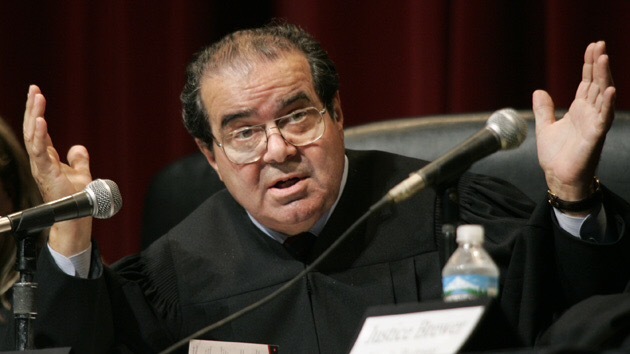 PRESIDENT OBAMA HAS WORDS FOR REPUBLICANS LOOKING TO BLOCK HIS SUPREME COURT NOMINEE…..
Supreme Court justice Antonin Scalia recently passed away February 13th of this year, which has created a frenzy in the political world. The importance of selecting a new Supreme Court justice to replace him, has many nervous about the direction that lies ahead for the powers that be. Republicans currently running for the next presidency have spoke out against President Obama selecting the new Supreme Court Justice, and vowed to block any nominee he chooses. It really boils down to cases currently pending in the Supreme Court and is a huge tug of war between conservatives and liberals on who will take the seat. Justice Scalia was a known conservative and his passing has made the scale even between liberals and conservatives currently holding seats. Whoever is chosen will give either party a majority position in the court. Of course I was insulted and very bothered by his comments, and I’m pleasantly pleased his seat is up for grabs. Of course it’s unfortunate when anyone passes suddenly and unexpectedly. My condolences to his family. It will be very interesting to see who replaces him as his replacement stands to serve for many years in the Supreme Court. 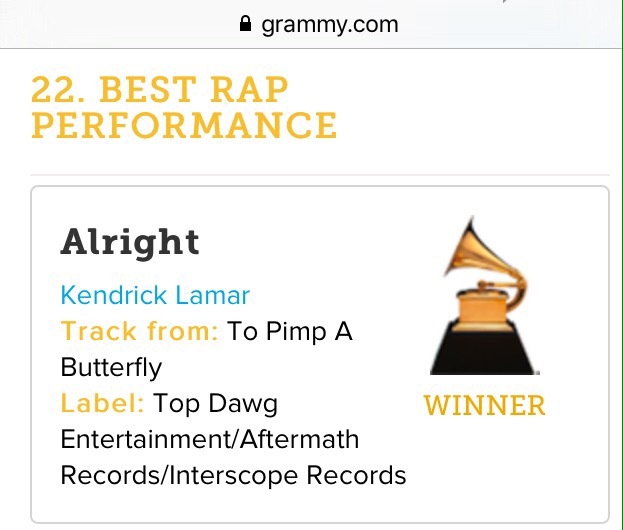 KENDRICK LAMAR WINS BIG AT THE 2016 GRAMMY’s…. 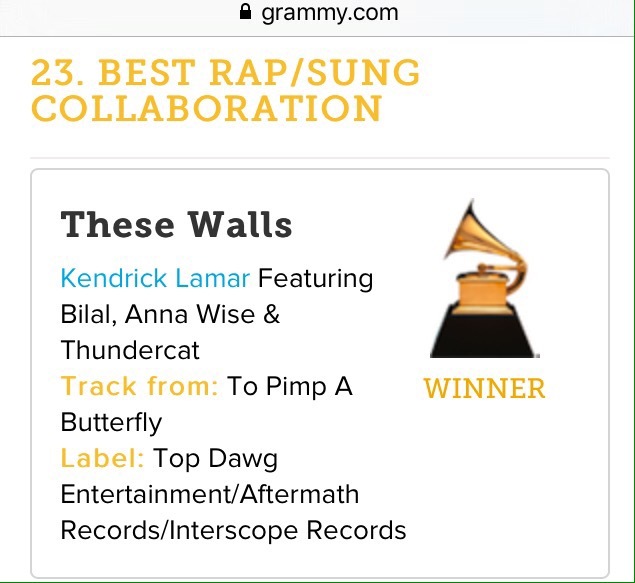 Kendrick Lamar picked up 4 Grammy awards out of 11 nominations tonight. Absolutely deserving of each award. 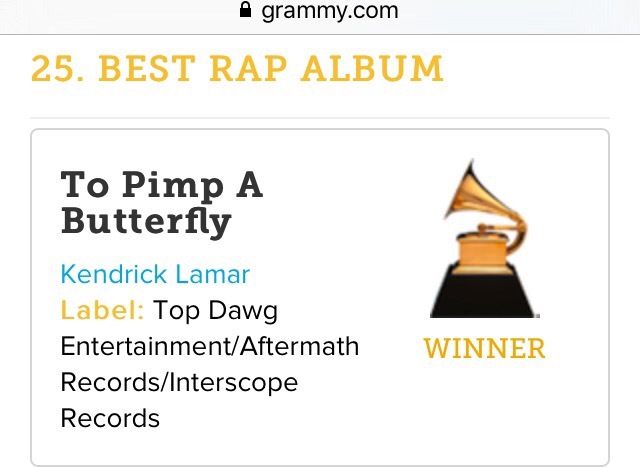 The recognition for his album “To Pimp A Butterfly” (which I purchased) is a clear sign of the awakening happening across Amerikkka. 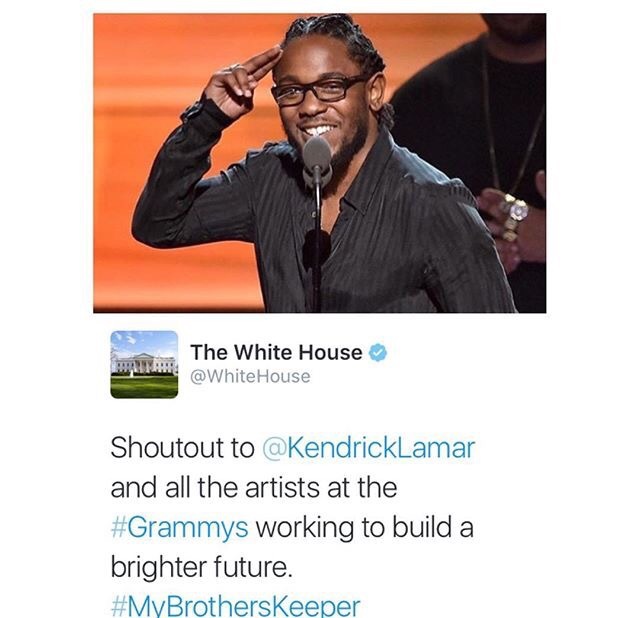 The White House even acknowledged his achievements tonight. 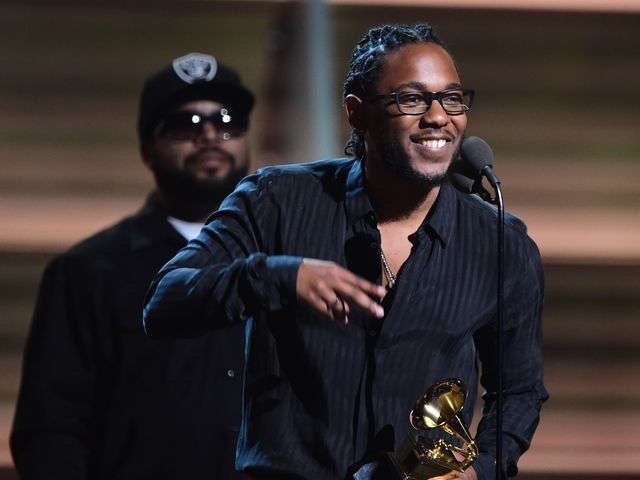 Most important and empowering was his phenomenal performance. If you couldn’t decipher his lyrics, it’s okay- it’s melanin morse code. He gave us visuals symbolic of the epidemic of mass incarceration black people face in Amerikkka. He then switched to tribal Afrikan artistry and dancers from the motherland. 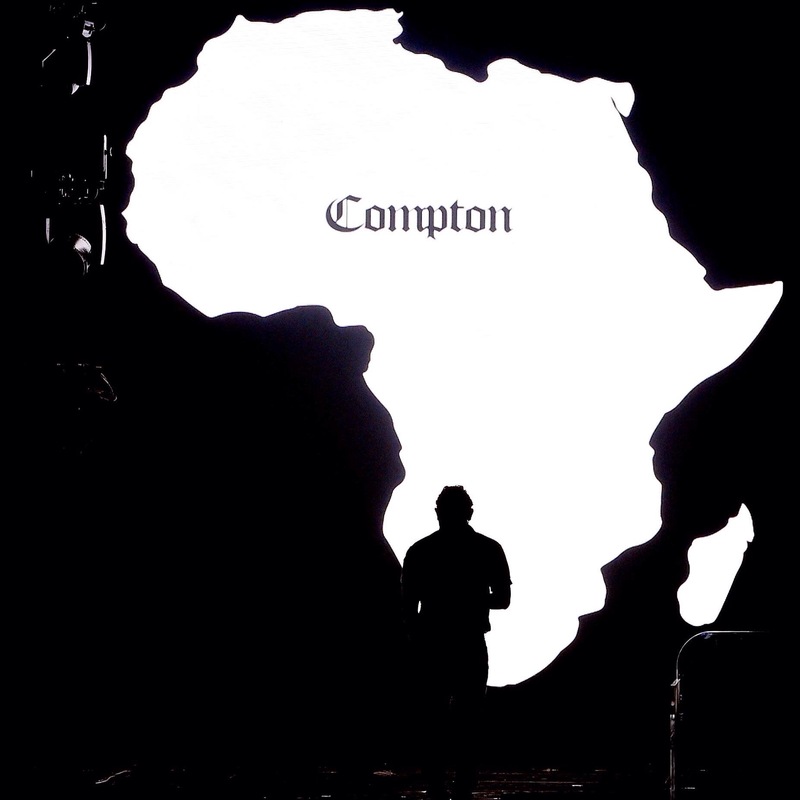 While they censored his lyrics “and we hate PoPo” and looked shocked and disturbed in the audience, he ended it with a bang…a huge projection of the Mother Africa with Compton centered in the middle. That silhouette was the catalyst of his performance tonight. 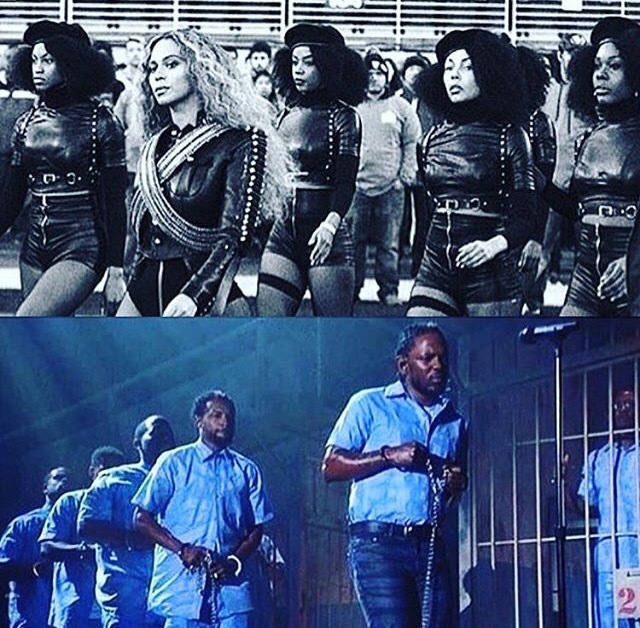 The performances I’ve seen over the last week, first Beyoncé with her pro black homage to the Black Panther Party – now Kendrick Lamar’s epic performance of the black plight and strife in America has made me proud. 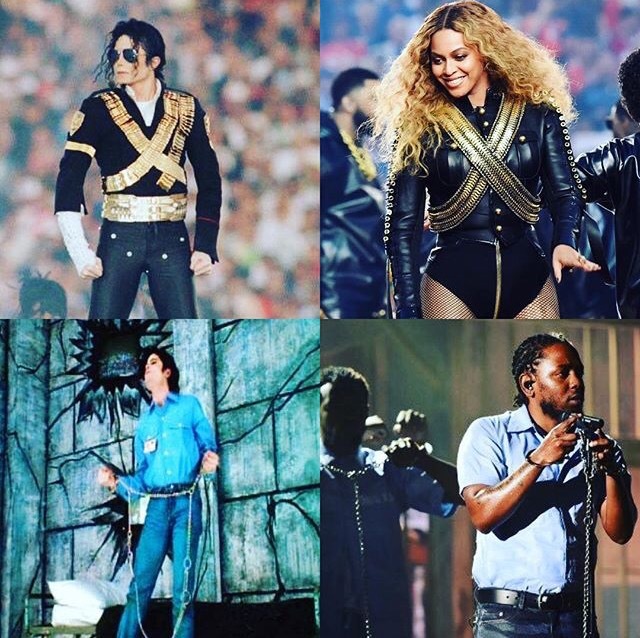 It’s long overdue for our artist to stand up and stand for something greater and more important than their fame. Our voices need to be heard, and their platform is the perfect setting to get the message across. 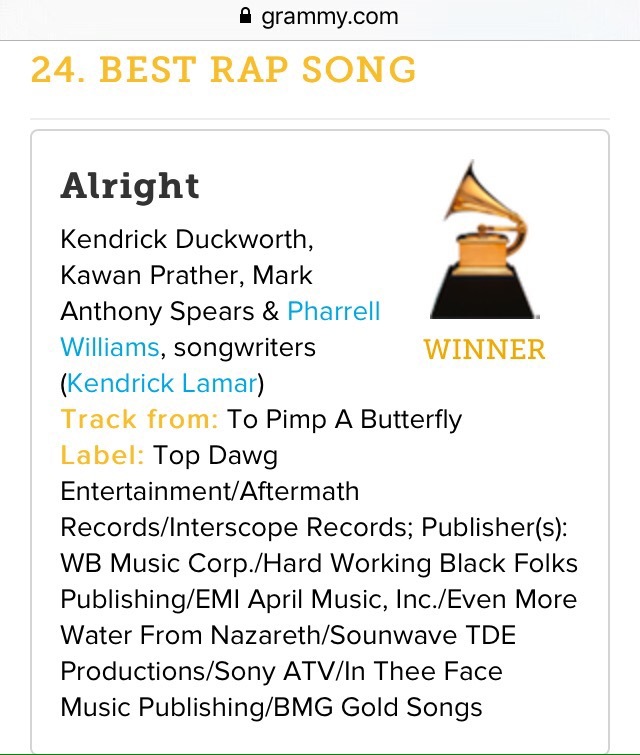 Yes, we will be Alright…as Kendrick shouts. We will be heard, and most importantly, we will overcome the injustice in this country. A survivor hidden in a tree says he watched Boko Haram fighters firebomb huts and heard the screams of children burning to death, among 86 people officials say died in the latest attack by Nigeria’s homegrown armed group. Scores of charred corpses and bodies with bullet wounds littered the streets from Saturday night’s attack on Dalori village and two nearby camps housing 25,000 refugees, according to survivors and soldiers at the scene just 3 miles from Maiduguri, the birthplace of Boko Haram and the biggest city in Nigeria’s northeast. Troops arrived at Dalori around 8:40 p.m. Saturday but were unable to overcome the attackers, who were better armed, said soldiers who spoke on condition of anonymity because they were not authorized to speak to the press. The Boko Haram fighters only retreated after reinforcements arrived with heavier weapons, they said. Journalists visited the carnage Sunday and spoke to survivors who complained it had taken too long for help to arrive from nearby Maiduguri, the military headquarters of the fight to curb Boko Haram. They said they fear another attack. Eighty-six bodies were collected by Sunday afternoon, according to Mohammed Kanar, area coordinator of the National Emergency Management Agency. Another 62 people are being treated for burns, said Abba Musa of the State Specialist Hospital in Maiduguri. Another 62 people were being treated for burns, said Abba Musa of the State Specialist Hospital in Maiduguri, the biggest city in northeastern Nigeria, which is about 10km from from Dalori. Nigerian troops were initially unable to fight off the attackers, and Boko Haram fighters only retreated after reinforcements arrived with heavier weapons, soldiers said. “As they saw the flames of the fight, then they alerted us. I informed the soldiers … and that’s how they checked,” Lawana Geti, head of a local vigilante group called Kondugua, said. 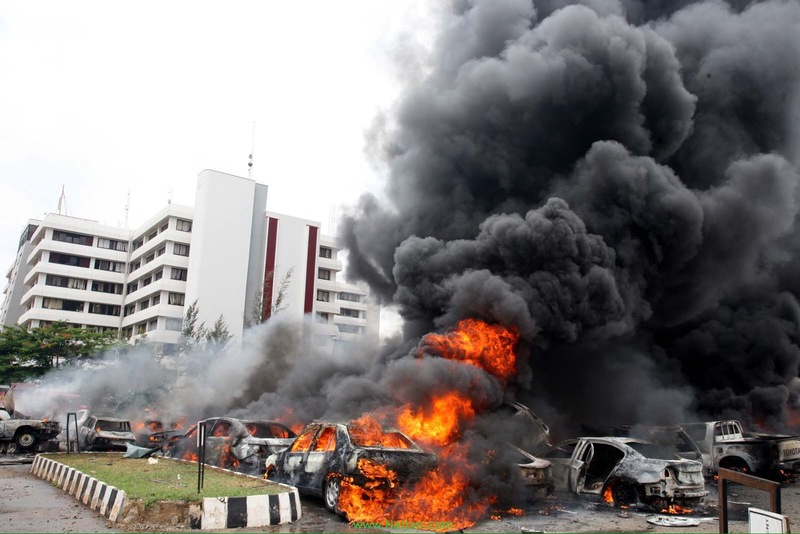 Boko Haram has been attacking soft targets, increasingly with suicide bombers, since the military last year drove them out of towns and villages in northeastern Nigeria. The 6-year uprising has killed about 20,000 people and driven 2.5 million from their homes. 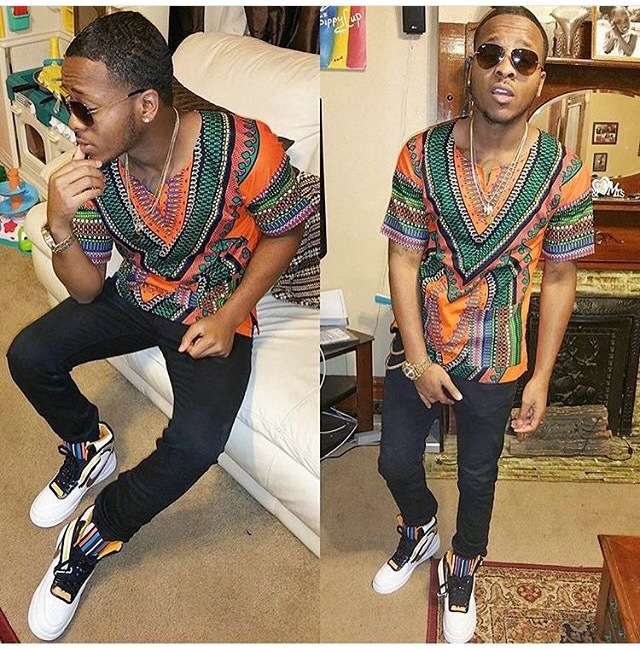 Dashiki Pride has Dashiki’s on sale right now for 20.00! 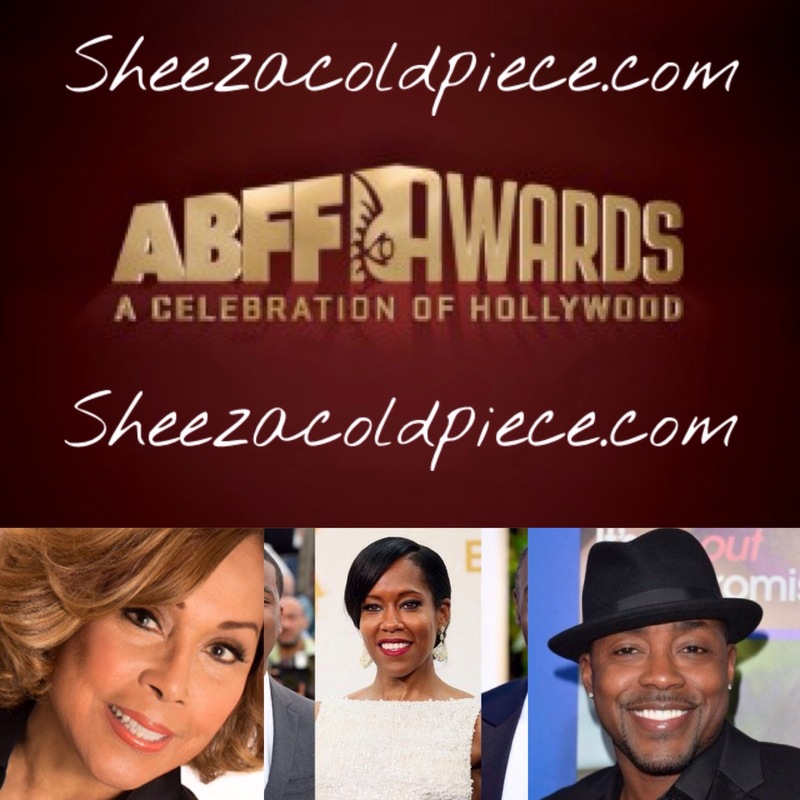 Just in time for black history month and awareness – get yours today and rep your culture. 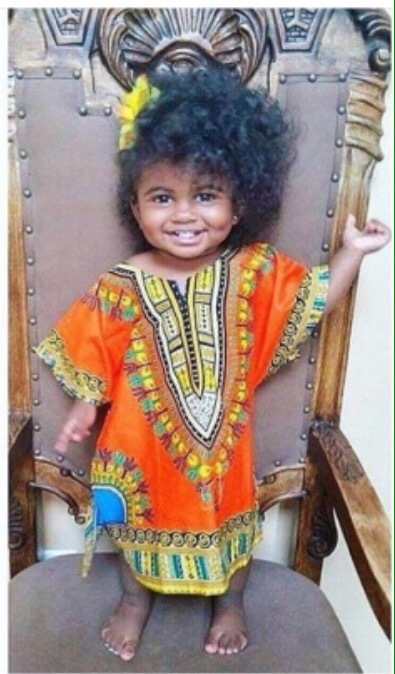 Visit their website http://www.dashikipride.com/ for more styles and info.